Great parks are a perk for residents and visitors to Marysville. Marysville is on the move, pushing forward and always looking for ways to improve itself. 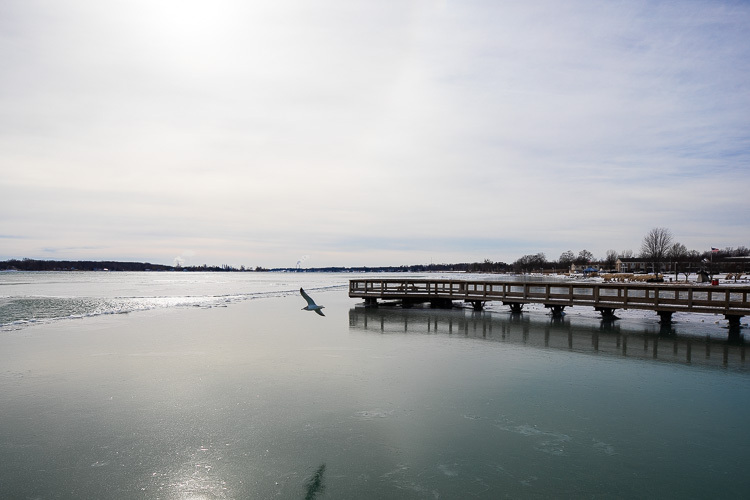 In fact, those words from City Manager Randall "Randy" Fernandez, are just a few of the numerous accolades he shared about the city that sits along the St. Clair River. "We don't need to make a comeback, things are going good here, we have low crime, our services are outstanding and our Access to the water is one of Marysville's top assets.schools rank in the top 10 in the state of Michigan," Fernandez says. "We definitely have a little bit of everything, we are no one trick pony," adds Mayor Daniel Damman. Located in Michigan's "Thumb", Marysville, covers 7.3 miles and is bordered by the river and Canada to the east, the city of Port Huron to the north and St. Clair Township to the south. The municipality was incorporated as a city in 1924. "We shared our recent audit and we are in excellent financial shape," Fernandez says. "It's recommended that we keep 20 percent in a reserve fund and we have four times that amount." 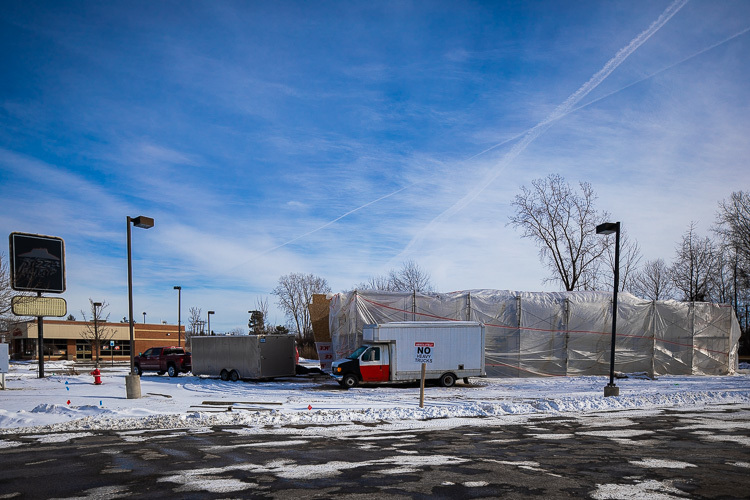 Current city projects include the construction of a new $2.1 million city hall just down the block from their offices on Delaware Avenue. The older building, valued at $500,000, includes 15,000 square feet of space on two floors with the second floor vacant. The new offices will include 8,200 square feet on a slab. 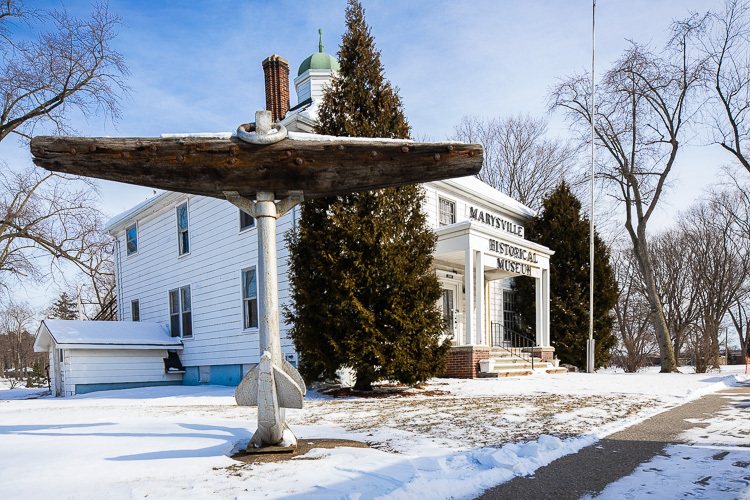 Check out Marysville history at the local museum"We're aren't moving because these offices are old, we don't utilize the space there," Fernandez says. "And there's no bond for the new building, we're paying for it with the funds we have." The city has a contract with St. Clair RESA and they are moving into the upper floor of the current city hall, renting space with an option to buy. Marysville officials should move down the street to their new building in November. Other priorities include improving the roads and keeping up with city pension plans. "We are doing our best, we don't have a road tax, but we are continually working to fix our roads and also fund our pensions," Fernandez says. Damman's administration came into power in 2013. He says "the philosophy of the city changed" and they quickly adopted the Marysville is on the Move theme. The mayor says the city works very hard to facilitate things for both public and private enterprises in the city. "We want to ensure that what we have here keeps growing," Damman says. 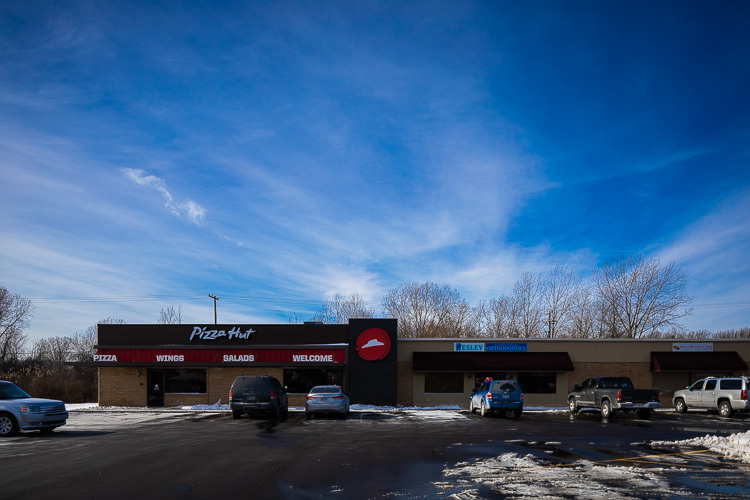 "For those looking at property here for business, Pizza Hut has returned to Marysville.our doors are wide open whether it's new or for relocation or growth." To ensure transparency the city created a Business Council, made up of local volunteers, who act as a liaison between the city and business community. In fact, that entity launched two major annual events in the city, "Christmas in the Park" and "Hot Wheels Weekend" which bring hundreds of people to the city park across the street from the river. Although there is no real "downtown" area in the city, Fernandez is excited about three new restaurants; a sports bar, an A&W and a Pizza Hut. As to housing starts, Dan Casey, the CEO of the Economic Development Alliance of St. Clair County, says Marysville, and really the county as a whole, needs more housing. Along those lines, Fernandez says a developer is looking at putting in a residential project with nearly 150 units, including homes and condominiums, near Range and Ravenswood roads, although it's in the very preliminary stages. 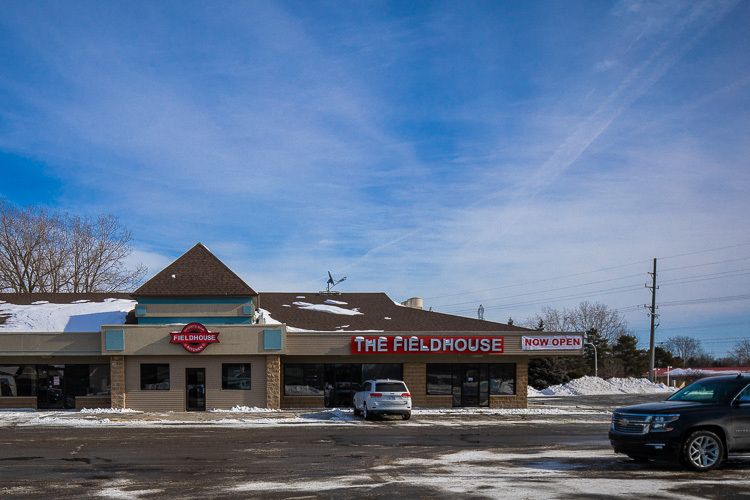 In contrast to housing, the economy is solid and in fact, there' The Fieldhouse is a new sports bar in Marysville.s a shortage of workers to fill employment opportunities in the city. "I know we have more demand than supply to fill job positions in Marysville and the county as a whole," Casey says. Roads are also a hot topic and the Huron Boulevard Road Diet project is right on track, according to Patrick Phelan, principal engineer at BMJ Engineers & Surveyors, Inc. in Port Huron. Phase 1 (M-29 to Michigan) and Phase 2 (Michigan to Connecticut) were completed in August. Phase 3 (Connecticut to Gratiot) is programmed for federal funding in fiscal year 2021. Phase 4 (Gratiot to Range) is programmed for federal funding in fiscal year 2022. Over the last five years, Fernandez says the city has invested $8 million, with grant monies and city funding, for their parks and trails. 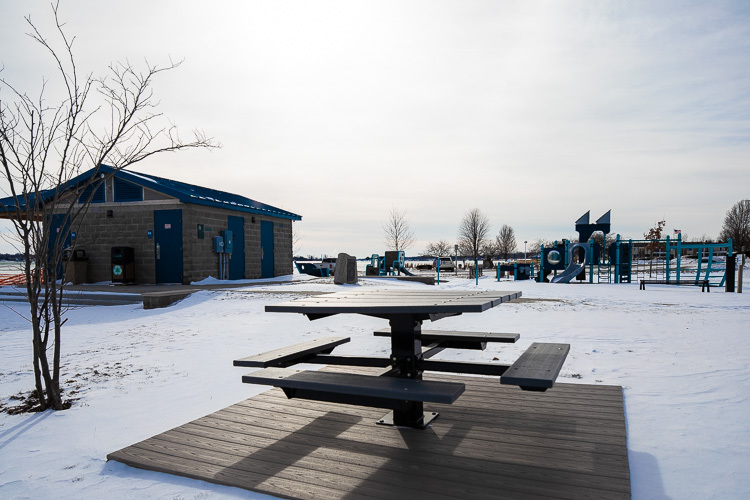 Recreation Coordinator Stefanie DeNardin says the list includes five renovated baseball fields, new playground equipment plus new bike paths along with a crossing hawk over Busha Highway that connects the bike paths to the river. "The bike path along Davis Road and Busha Highway is to connect all the waterfronts from St. Clair Township to St. Clair and this is not just a city project the county is looking at this, too," Fernandez says. Other improvements in the city include the renovation of the old fire hall which is now the Marysville Community Center which houses the Recreation Department. DeNardin says this spring, the city is launching a bike sharing program with vehicles available to rent at the Community Once home to Pizza Hut, an A&W will open soon in Marysville.Center. "We are also studying how to improve Veterans Park, Morton Park, and Mermaid Park," Fernandez adds. Having a world-class golf course, the riverfront with a designated beach area, beautiful city parks, and many hearty bike trails makes Marysville a great place to be but not everyone realizes it just yet. "We are one of Southeastern Michigan's best-kept secrets, but we don't want to keep it a secret," Damman says. Spreading the word while improving on what they have for residents and visitors has driven Marysville over the last half dozen years. Damman says being able to build three new baseball fields, complete with fencing, dugouts, and scoreboards, in order to draw state tournament participants is a huge feather in their cap. 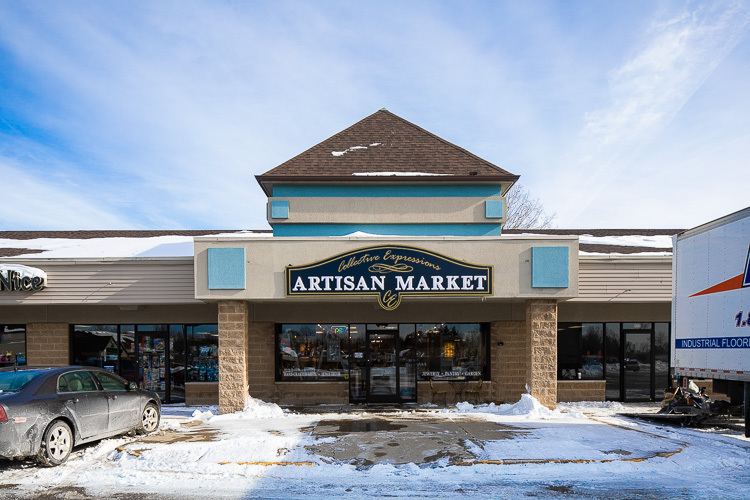 The artisan market is a popular spot. "We know parents take kids to ballgames every weekend and we want to try and create resources so people come to our city and we can introduce what we have here," Damman says. "We can now have those state tournaments and have two already lined up for next year and that will really showcase our city." Another future perk may be a huge development at the former site of the DTE Plant that was imploded in 2016. It sits on 30 acres of waterfront property in the city and the land was sold to an out-of-state entity. Fernandez says he'd like to see that land developed with condos, hotels, shops, and restaurants that could be anchored as a downtown. "We want to keep our waterfront open to the public and the good news is this area is an opportunity to do that," Fernandez says. "It would also mean a tax base and jobs for that site, too." In the meantime, all the city has to offer is certainly not lost on those who already call Marysville home. "People live here because of the services we provide, we jump for our residents," Fernandez says. "They have high expectations and I hold my 61 employees to even higher ones."